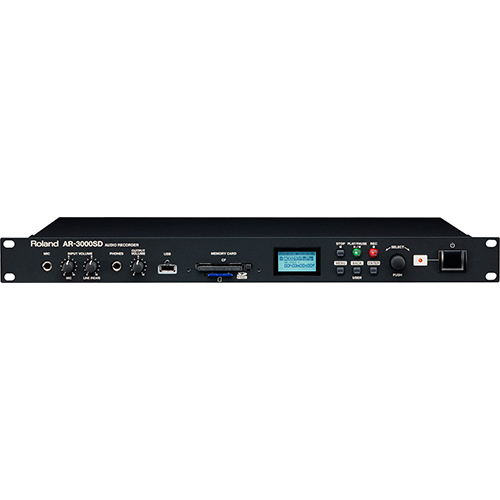 The new AR-3000SD provides new advanced sound quality and features with expanded compatibility that includes programmable timers, network efficiency, support for multiple playback and control formats, plus support for high quality audio formats up to 24-bit and 96 kHz. A full range of features and high reliability make the AR-3000SD perfect for any site and application. New advances in sound quality and features, with expanded compatibility. 24-bit recording and playback at 96 kHz for higher sound quality. Support for 24-bit, 96-kHz audio achieves even higher sound quality for both recording and playback. 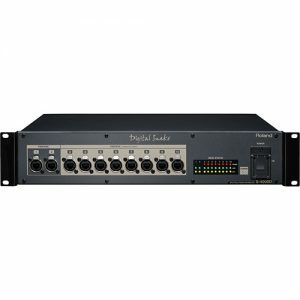 Use of AES/EBU output connectors also enables high-quality digital output. XLR connectors have been added for audio output, enabling worry-free use in a wide array of applications. For storage, in addition to Compact Flash memory, the AR-3000SD is also equipped with a slot for an SD memory card. Using a single memory card as two virtual cards lets you record up to 2,000 phrases. You can even back up and restore data using a USB flash drive. In addition to uncompressed WAV, the MP3 format has been added for use in recording and playback. 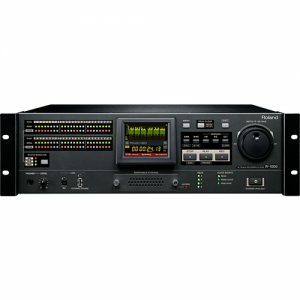 By accommodating a full range of formats without sacrificing compatibility, the AR-3000SD stands ready to meet a diverse array of needs and setups for use. Editing operations are simple and intuitive. 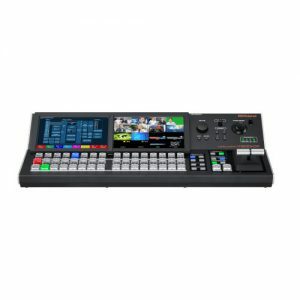 The AR-3000SD offers nondestructive editing features that allow for editing phrases just the way you want. These functions include Truncate for cutting unneeded portions before and after phrases, and Phrase Combine for joining multiple phrases into a single new one. Displays the settings data and phrase information stored on the AR series unit’s memory card on a single screen. Editing is accomplished with ease, using the mouse and keyboard. AR data on a memory card can be backed up to the computer and restored from it just as easily. Features a simple player that lets you check recorded audio. Lets you convert WAV files to AR phrase data (RDAC) and AR phrase data to WAV files. The software can be downloaded free of charge. In response to wide demand, a scheduler has become a standard feature, eliminating the need to connect an external timer. This allows control by time or calendar. Time adjustment using Network Time Protocol (NTP) client functionality is also possible, for precisely timed automation announcements at fixed intervals. 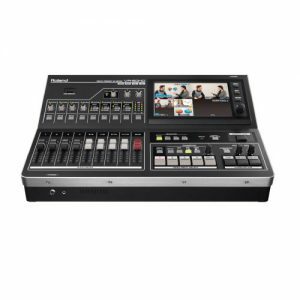 Using just the AR-3000SD, you can create yearly programs for important announcements for tasks that must be played back at fixed intervals and set times. 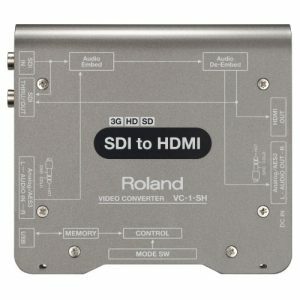 MIDI data can be played back and captured as well as playback of RS-232C commands. Using the AR-3000SD in combination with an external sound module or synthesizer, for instance, let’s you reproduce performances that are direct, with total control. 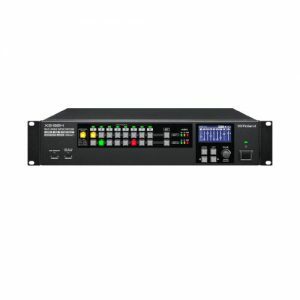 With direct playback of RS-232C commands the AR-3000SD can control V-Mixers, video switchers like the Roland V-800HD, and a host of other audio, video and lighting equipment. 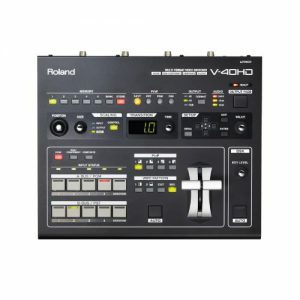 This along with MIDI control enables the AR-3000SD to be the nucleus of a full production environment. Network features supporting higher efficiency come standard. The Line Thru feature lets you mix in external audio during playback. During audio-phrase playback, you can mix in audio from LINE IN and output the results. For instance, this lets you mix background music or other audio into in-store announcements. The volume level of audio input via LINE IN can also be adjusted independently, so you can even add fade-ins and fade-outs. The AR-3000SD lets you pick the optimal playback scheme for the application or system setup you’re using. 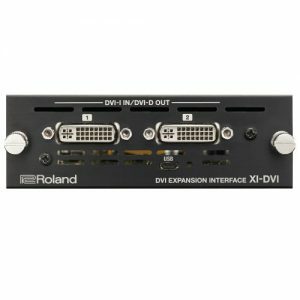 This lets you control the AR in whatever way you like from an external device attached to a control input connector or the RS-232C port on the back of the unit. Assigning the phrases you select to respective control connectors enables you to play the phrase assigned to each number simply by inputting a direct control signal. This is useful when you want to use switches, relays, sensors or other devices to specify a desired phrase directly. You play back a group of phrases in a preset sequence by inputting a control signal to the START port. Because the order and duration of the phrases are predetermined, this is a convenient option when you have only one contact, such as a timer or switch, with which to trigger this action. In binary playback, phrases are selected by means of binary (base 2) control signals, with the selected phrases played back when control signals are input to the START port. This lets you specify all phrases with control signals (from a switch or other ON/OFF signal device) without the use of computers or other complicated equipment. 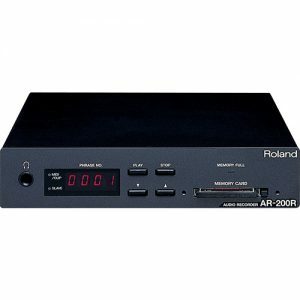 With the AR-3000SD, you can control the unit from a computer or other external device connected to it by an RS-232C cable. The RS-232C connector is used to connect to a computer or other peripheral equipment. The AR-3000SD is equipped with a D-sub 9-pin type RS-232C connector. This plays back audio and MIDI phrases using MIDI signals from an external MIDI device as control signals. Phrase playback can be controlled by the different types of MIDI messages, including Note On/Off, Note On Velocity, Panpot, and Expression. 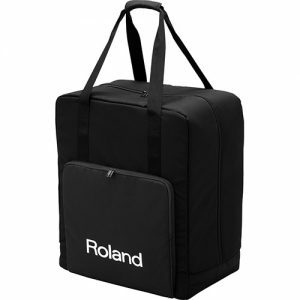 Note that MIDI phrases cannot be recorded or played back simultaneously with audio phrases or other MIDI phrases. You can specify loop play, repeat play, and other variations in playback styles in addition to ordinary phrase playback. You can specify loop playback of the desired passage of a phrase by making settings on the AR unit. With loop play, playback between a set start point and end point is repeated for a specified number of times. You can specify repeating playback of a desired phrase by making settings on the AR unit. The repeated passage, repeat interval, and number of repetitions are all controllable. * This recording time is approximate. Actual results may vary somewhat. * When recording in stereo files, the maximum recording time would be shorter than above. USB 1.1, USB Mass Storage Class, USB HID Class * USB HDD cannot be used.